Flexi, 7.25 x 10.75 in. / 288 pgs / 250 color. 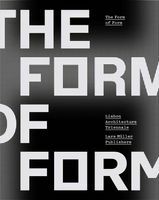 Edited by Kees Christiaanse, Tim Rieniets, Nicolas Kretschmann, Mark Michaeli, Christian Salewski. 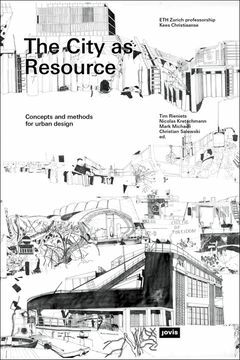 The City as a Resource proposes a model of the city as a resource containing untapped possibilities and potentials for both individuals and society as a whole. This resource, however, is not inexhaustible; it will only be able to meet the needs of future generations if it is handled sustainably, rather than with an eye for short-term profits and partisan interests. The challenge, then, is to conceive of the city as a regenerative circuit--a complex of spatial and aesthetic qualities that can be sustained and developed over time. The City as a Resource is edited by Nicolas Kretschmann, Mark Michaeli, Tim Rieniets and Christian Salewski, and uses texts, projects and examples to present state-of-the-art urban planning methods and strategies for handling cities as resources, giving new life and new meaning to the idea of sustainable urban design. FORMAT: Flexi, 7.25 x 10.75 in. / 288 pgs / 250 color.